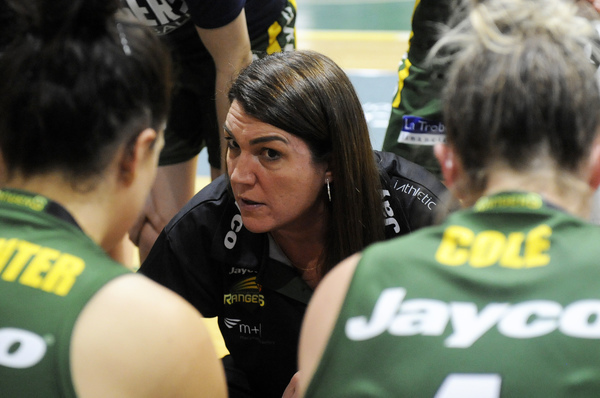 Larissa Anderson’s time as head coach of the Dandenong Rangers is over, informing the WNBL club that she won’t seeking a new contract for next season. Anderson, who joined the Rangers in 2015, led Dandenong to the preliminary finals in her first season at the helm (2015/2016 season), before guiding them to a grand final series in season 2016/2017. The Rangers have struggled to find success over the past two seasons, going 16-26 overall, and missing the postseason on both occasions. Dandenong Rangers CEO Graeme Allen spoke about Anderson’s positive contributions to the club. “Larissa has been involved in coaching our elite SEABL and WNBL basketball programs for almost a decade, and her contribution has been significant,” Allen said. The Rangers began season 2018/19 in memorable fashion by defeating the reigning Champion Townsville Fire on the road, but they were unable to hold onto that momentum as inconsistency took over. Finishing in fifth position with a 9-12 record, the Rangers will be looking to return to the postseason in 2019/20 and Dandenong Rangers GM Steven Icke talked about the rigorous search that will be undertaken to find the right coach to take the team forward. “At the centre of any champion team is a head coach driving the performance standards that leads to a strong performance-based culture,” Icke said.